CH Technologies (USA) Inc. (CHT) of Westwood, NJ, has purchased the Collison Nebulizer, a device previously owned by Mesa Labs after it acquired the stock and trade of BGI of Waltham, MA. This purchase, along with the associated vendor lists and BGI supply sources, was completed on October 12, 2017. Previously, CHT had acquired the BGI Wright Dust Feeder product line from Mesa Labs. CHT is a Toxicology and Scientific Instrument company that is known for its Inhalation Exposure Systems as well as the Jaeger-Baumgartner Cigarette Smoking Machine. 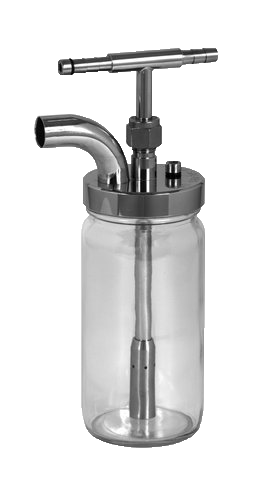 These systems will be fully integrated with the new items from the BGI product line, namely the Wright Dust Feeder, the Collison nebulizer, the BioAerosol Nebulizing Generator (BANG) as well as the BGI Patented Clean Lens/Laminar Flow Adapter and the respirable cyclone that is used on the Vilnius Aerosol Generator. Bob Gussman, Kevin and Brian DeVoe, all formerly with BGI before its acquisition by Mesa Labs, will assist CHT. Products previously crafted by BGI and subsequently made under the guidance of Mesa Labs will continue to be manufactured by the same fabricators that produced them in the past.